We meet every two weeks to discuss the latest papers that we have published or that have recently appeared in astro-ph and we consider interesting for our research. The goal is to keep updated concerning the literature related to our field and share our knowledge. The meetings held and programmed are listed in the table below. 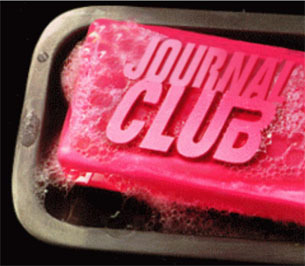 Otherwise mentioned, the journal club will take place every Thursday from 13:00 to 14:00. You will receive an mail several days before to announce you the definitive speaker, time, date, and place of the next journal club. In each session, the speaker will comment in 10-15 minutes the paper that he/she is proposing to discuss and, in case of not being an author, why he/she considers it so important for our research. We will comment on it for the next 40 minutes informally. Questions, comments, and associations with other studies are welcome from anybody until 14:00, time at which the meeting will finish. The speaker will be contacted two weeks before. Please, if you are the speaker, focus in a few plots or ideas, and leaving the other ~40 minutes for open discussion among all the participants. You can give the talk as you prefer: using a PowerPoint presentation with the figures, providing copies of the plots to comment, etc. The first option might be better to discuss the figures easily, but feel free to choose your way. The paper that he/she intends to present will be linked in the table below, for those that would like to have a look at it before the meeting. In this way, everybody will have a whole week to have a look at the paper. Note: It is advisable to have a look at the paper before the meeting, but not obligatory! The important point is that you attend the meeting, listen, provide your feedback, and ENJOY AND LEARN. This is the same for speakers (which are *invited*). Looking forward to seeing you the next Journal Club meeting! !